We spend most days out the house, going to groups, meeting up with friends and generally enjoying life. 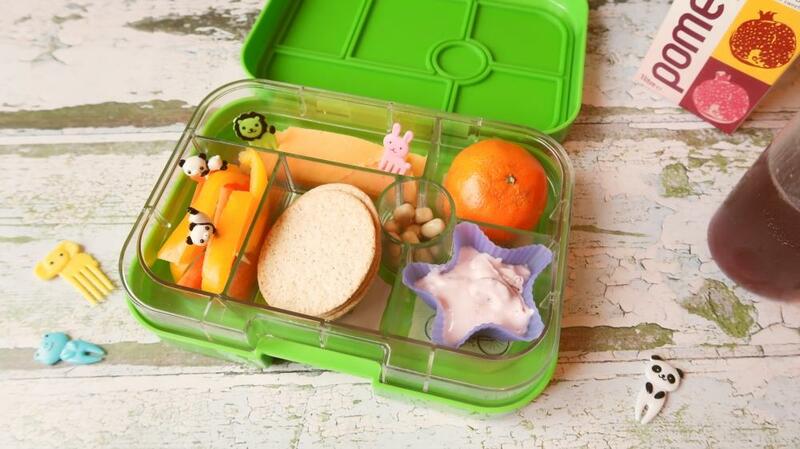 Home education can be great for so many reasons, but we still have the same worries when it comes to finding healthy meals and packing a balanced lunch box. As we’re rarely at home for lunch I need to be able to pack a good lunch that will keep my two filled up. Which is not always easy to do, there are so many cries of ‘I’m hungry!’ throughout the day! 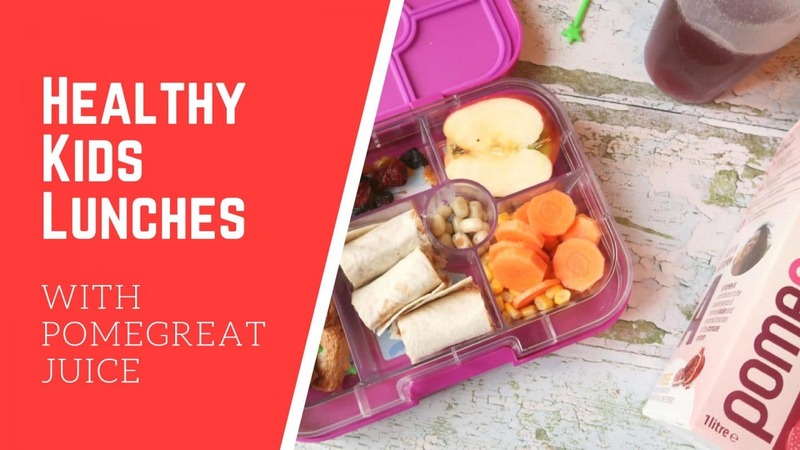 I had actually got out the habit of packing their lunch boxes and had started buying packaged things, which is not the cheapest or healthiest. So for the last week I’ve been taken the #GreatLunchBoxChallenge with Pomegreat to create a healthy lunch every day for my boys. I try to include a couple of types of fruit each day, plus my two love their veggies, so that’s another easy thing to include. Littlest isn’t a fan of sandwiches unless they are plain butter and cut into fun shapes. So I have a tendency to include various crackers instead, but I wasn’t sure if I could create a different fun lunch each day that they actually enjoyed. Monday: Mini sausages, peanut butter wraps, sweetcorn and carrots, apple, dried fruit and yoghurt covered dried raspberries. Since Halloween my two have been asking for sweets A LOT! They know they have a stack full left to eat, so I have been doing my best to keep their food low in non-natural sugars. Some sugary items are fine, but I think it’s good to reduce some of the sugar content in what we eat, especially as everything seems to contain it. 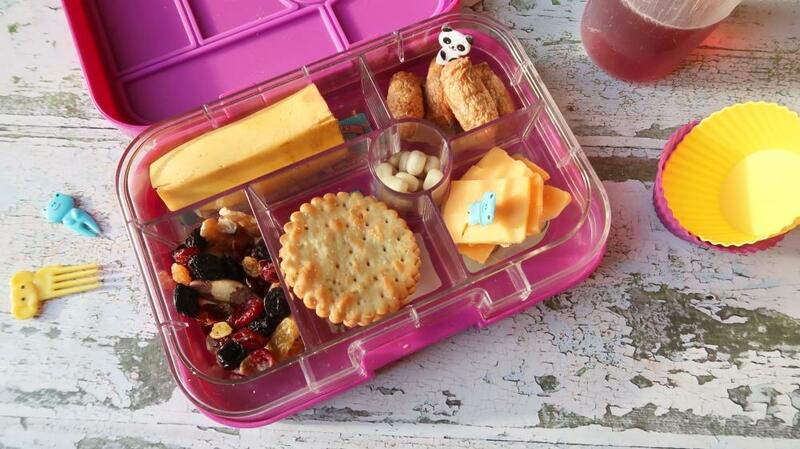 Their lunches included items like mini sausages, fruit, vegetables, cheese, raisins and crackers. Although I do try to create a lightly different lunch each day I need to keep some of the same items as we buy packets of food that include quite a few pieces ( which is why you see sausages featuring a lot here!). Tuesday: Carrots and peppers, crackers, cheese, blueberry yoghurt, clementine and yoghurt covered dried raspberries. 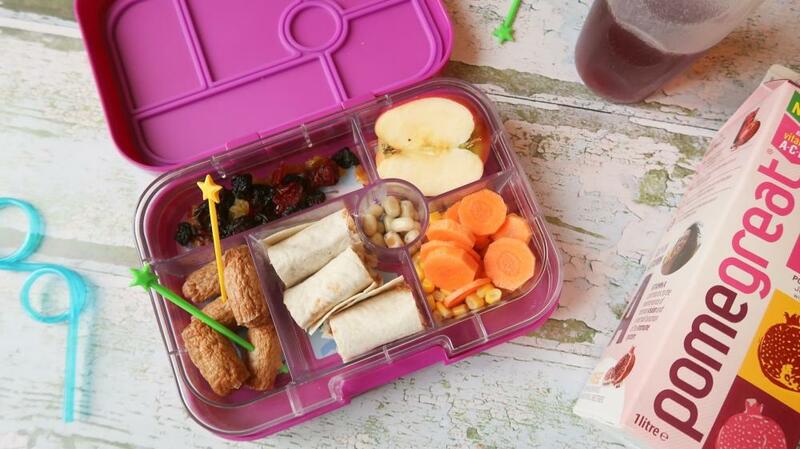 Although I’ve mostly been making sure that the kids have the healthy lunches it’s actually been useful for me too. Instead of buying chocolate, biscuits or other unhealthy items I’ve managed to stick to proper food with lots of fruit and vegetables. A lot cheaper and healthier for me too! Wednesday: Banana, mini sausages, cheese, crackers, yoghurt covered raisins, dried berries and nuts. I included some little animal picks in the lunches, which made them more of a hit with the children. They love having something different in their boxes and it definitely encouraged them to eat more. Thursday: Rice cakes, butter pasta, clementine, bread sticks, raisins and yoghurt covered raisins. 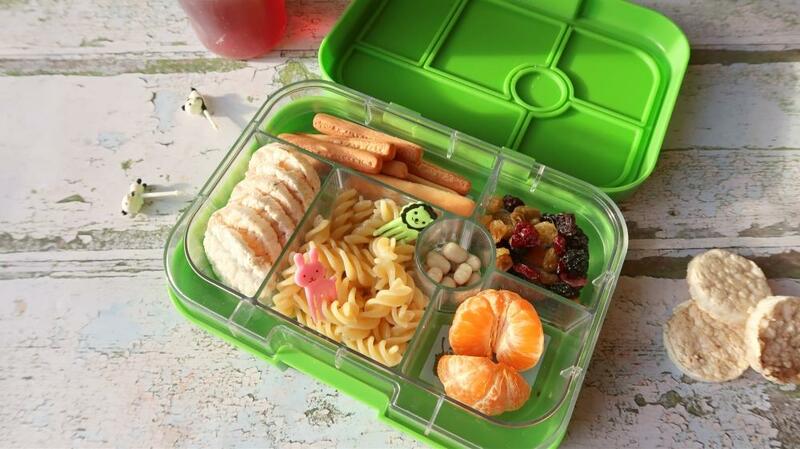 The boys lunch boxes are Yum boxes, which are actually fairly compact when you use the tray. But it’s surprising what you can fit in there, even if I have to be a little creative! Pasta is an easy option to squeeze in, so is a wrap rolled up and cut, most crackers can fit at an angle and the rest of the sections are easy enough for fruit or vegetables to be cut up and placed in. Friday: Mini sausages, bread sticks, cream cheese, raspberries, sugar snap peas and raisins. Both my boys love their fruit juice, but I don’t like them having it too frequently as it’s often full of sugar. Fortunately we have been enjoying Pomegreat juice this week. 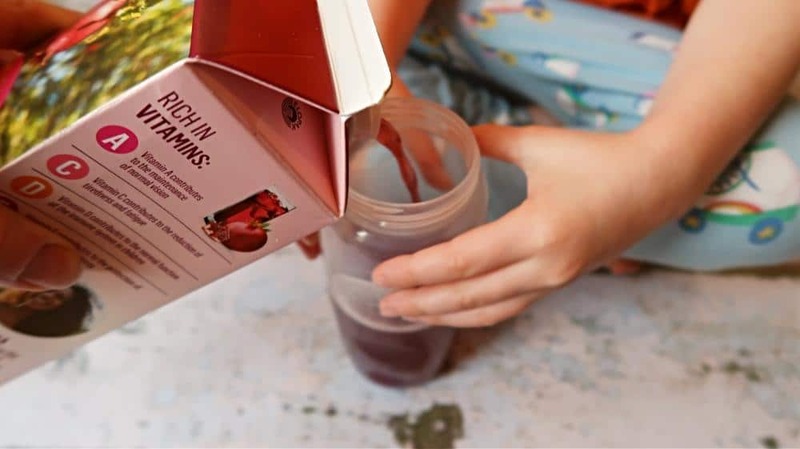 A naturally sweetened pomegranate juice that really fits into our healthy lunches. It’s always nice to have something different to the usual water in their packed lunch. You can buy Pomegreat at most of the big supermarkets including Tesco and Sainsbury’s. It was definitely a hit with my two, plus it’s rich in vitamins A, C, D and E. Great for my growing kids! 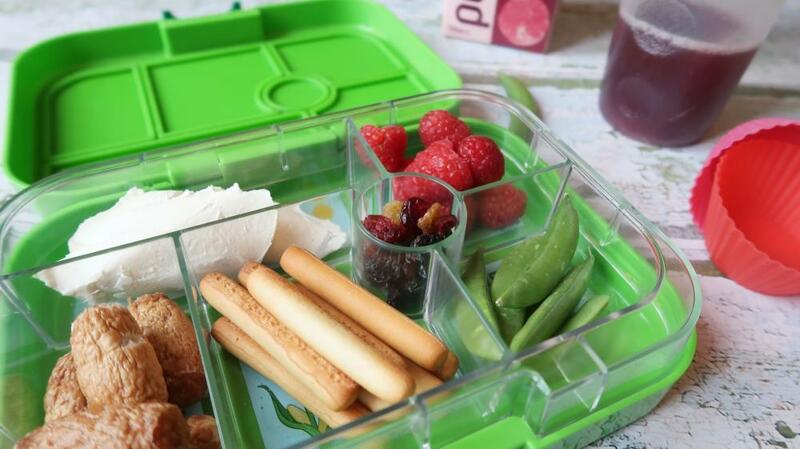 * This is a sponsored post for Pomegreat, all opinions and healthy lunch box ideas are my own.